These set are designed for the advanced modeler and comprise numerous resin parts. Sometimes the resin parts will warp during shipping, due to events beyond our control such as heat. If this happens to your set, simply place the warped part in hot water (about 100 degrees Fahrenheit) for a few minutes and then gently bend the part back into shape. If this does not work, contact us and we will replace the part, free of charge. The Bluefish sail represents the first major cut-down of the submarine fairwaters during late 1942. 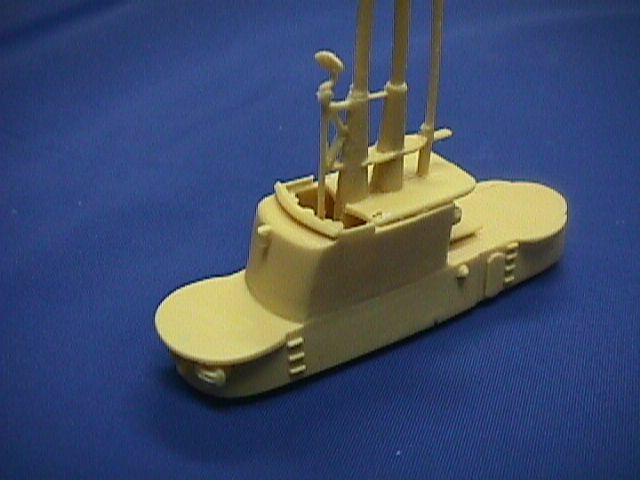 This set features the exposed periscope shears, an SJ radar set, two 20mm MG mounts for the cigarette deck, a 40mm AA cannon for either the cigarette deck or the main deck, and the 4/50" main deck gun often found beginning in late 1942 or early 1943.